“The Federal Supreme Court ruled that a decision issued by the Prime Minister last year to abolish the three vice presidential posts for Nuri al-Maliki, Osama al-Nujaifi and Ayad Allawi is unconstitutional”, Spokesman Abdul-Sattar al-Biraqdar of the Supreme Judicial Council stated. PM Haider al-Abadi abolished the three executive posts as part of a reform to fight corruption and sectarianism as well as poor public services and power shortage following mass demonstrations against the government. Although the dismissal of the three vice presidents and the abolishment of the positions happened in August 2015 after the approval of the Cabinet and the reform plan passed by the parliament, the court ruling noted that there was a shortcoming in the procedure because it was not submitted to a referendum. The Council’s spokesman said for the president’s reform to be valid, the constitution must be amended and that would require the support of the majority of the parliament first before submitting the matter to a referendum. The size of the cabinet and government agencies were also reduced as part of the reform to boost efficiency and reduce expenditure and that aspect has not violated the constitution. 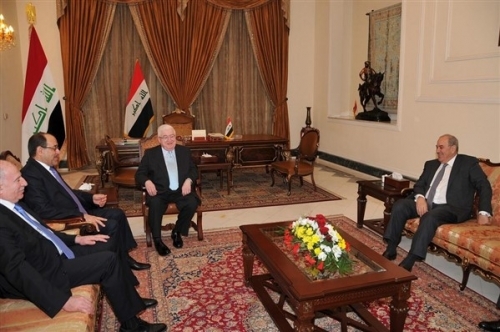 It is unclear if the three former vice presidents will take up their positions ahead of a referendum given that the population is displaced due to the ongoing war against the Islamic State. The government has not yet reacted to the court ruling.